The European Young Chef Award 2018 edition is stacked with ambitious and talented young chefs from ten different regions around Europe. This 26 November, the ten Young Chef finalists will head to Galway, Ireland to compete for the title of European Young Chef Award 2018. Young Chef finalist Andreas Bjerring will compete for the Aarhus/Central Denmark European Region of Gastronomy 2017. 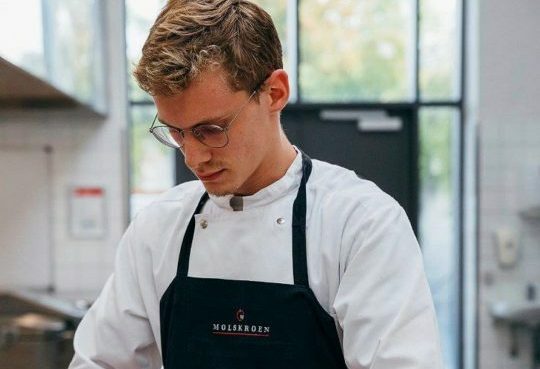 Andreas Bjerring is 22 years old and studies gastronomy at Silkeborg College360 in Central Denmark Region. He is a young chef student who loves to learn new techniques and to innovate on traditional recipes using local products. He is currently working at the restaurant Molskroen near Ebeltoft in the Central Denmark Region. At this restaurant they operate with French cuisine, and focus on using local produce, especially the beach and the local farmers.